The sun shone on our Scavenger Hunt April 2nd. 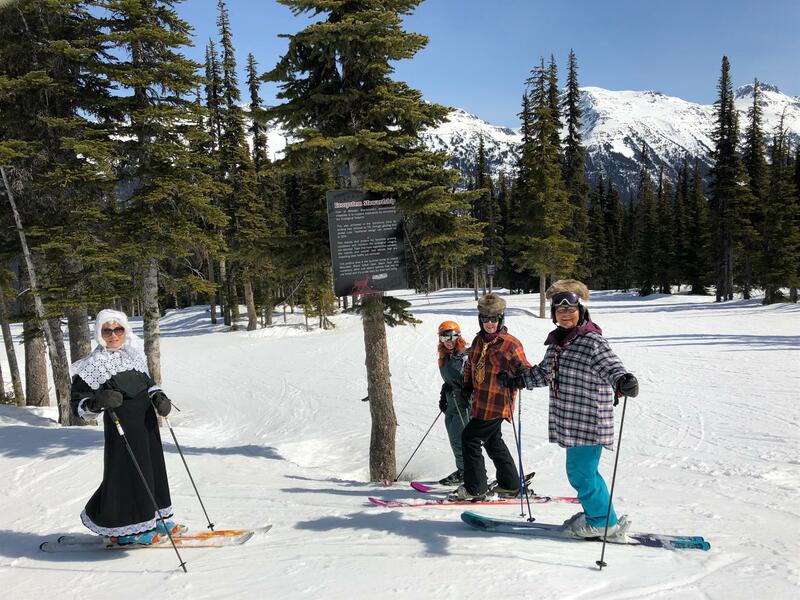 Our group in excess of 50 persons, some skiing, some observing had a fine time vicariously or cheering on the costumed teams that were hot after all of the 30 locations to find, photo then downhill to the finish at Blacks Pub. There were 6 teams in all, amounting to around 46 participants. We had full on teamwork and collaboration from the start at 1000 until 2:30 at Blacks Pub which was the finish line for delivering the phones with the photos of our hunt finds. 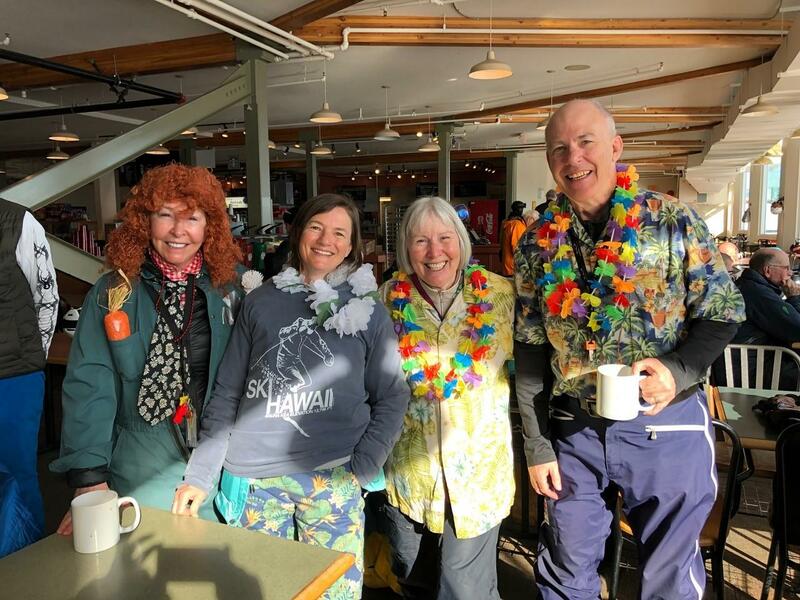 Generous donations were received for the Whistler Library Wonder Lab during apres at Blacks. 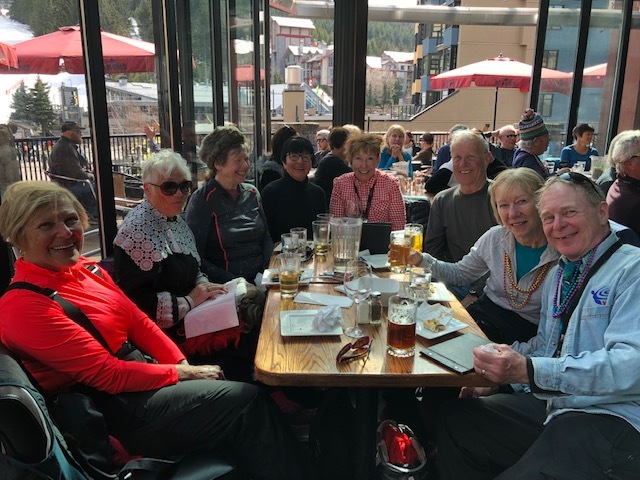 You may be able to identify Assistant District Governor Murray Wood, Vice President and Event Organizer Marg Pallot. 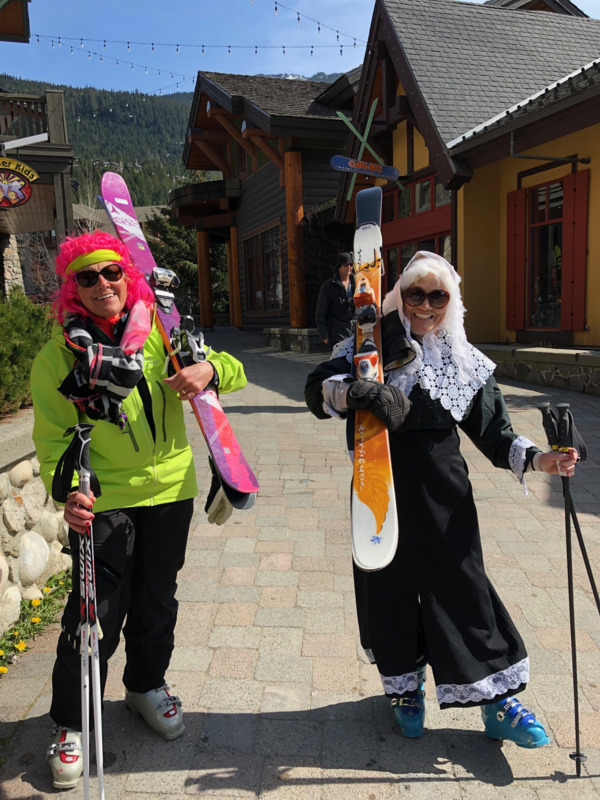 Secretary, Gill Forester, skier extraordinaire Barbie Walker. Janice Lloyd, PR and Admin., Erika Durlacher, Rotary Foundation. Gathering at Blacks Pub after no breaks for 4 and 1/2 hours. was feisty and great as always. 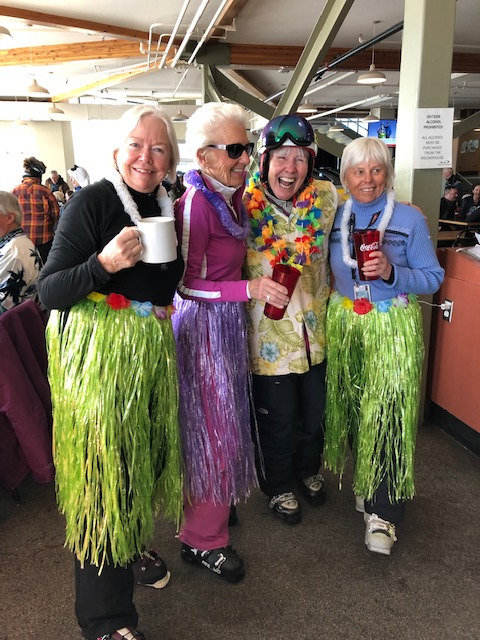 This was a fabulous time and we thank the Whistler Mountain Hosts, Squamish Rotary Club as well as the Millennium Club of Whistler and Blacks Pub for their support in making this event a success!